There are forever new ways emerging of ways to try to cut down the amount of pollution in our cities and now it has been announced that they’re going to be banning petrol and diesel cars from certain zones in London from April 2019. The name of the first road to trial the new initiative is Moor Lane near Moorgate. From April 2019, it will partly ban petrol and diesel cars. All vehicles will have access to the street via the north entrance but only fully electric and plug-in hybrid cars will be allowed access via the south entrance. Should drivers decide to ignore the warning, they will be issued with a warning letter within the first four weeks of the initiative coming into force. After the initial four weeks of operation, anyone continuing to flaunt the warning will be issued with a fine. The street will be monitored by ANPR. The ban will take place on Moor Lane near Moorgate as well as within the Square Mile will be the first area of the capital aimed at banning all non-ultra-low emission vehicles. It will only be pure-electric vehicles and those with CO2 emissions of less than 75g/km that will be granted access to the full road. After the six-month trial period in November, all parties will have the opportunity to comment on the restriction and provide their feedback. Should this be deemed a success, there are plans to roll the initiative out to other parts of the city. 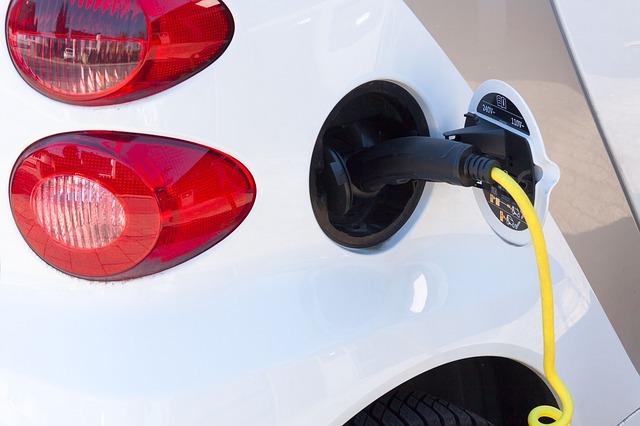 If you live in London and think that this may have an impact on you, why not try a fully electric or plug-in hybrid vehicle and see if you feel it’s worth making the move towards greener motoring? We have a large range of electric and hybrid vehicles available including the BMW 2 Series, the Suzuki Swift the BMW X5 and much more so there really is something for everyone and everyone’s budget. Give the team a call today on 01332 290173 and ask about an electric or hybrid as your next car lease option. Or why not complete the form below and a member of the team will get in touch as soon as they can.